Let 19th century nostalgia illuminate your home decor world with this contemporary Redfern table lamp. Pouring in radiant light through bell shaped, mesh shade. 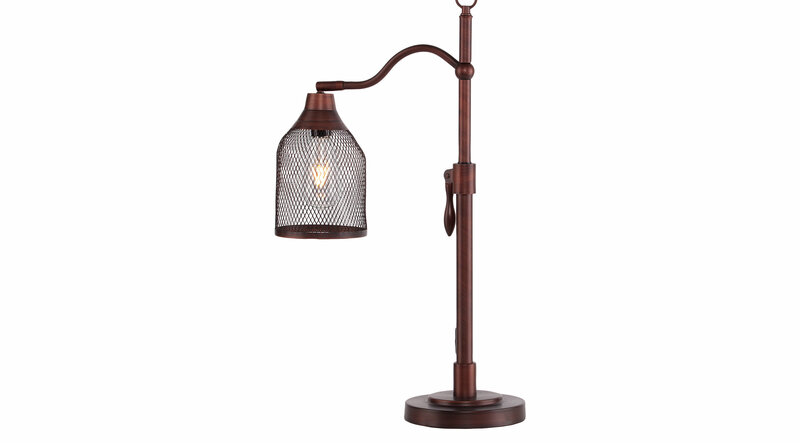 Coppery brushed bronze finish melds with antique street lantern silhouette for soft industrial allure. Rotate radiant light 360 degrees and adjust the height as you desire to spotlight customization. Transport your living area, den, or reading alcove to the early days of electricity with this hip task lamp. Brushed finish will vary lamp to lamp for unique, on-of-a kind feel. Some customer assembly required.